I just returned from the Close To My Heart National Convention in Dallas, Texas, and boy, am I excited! 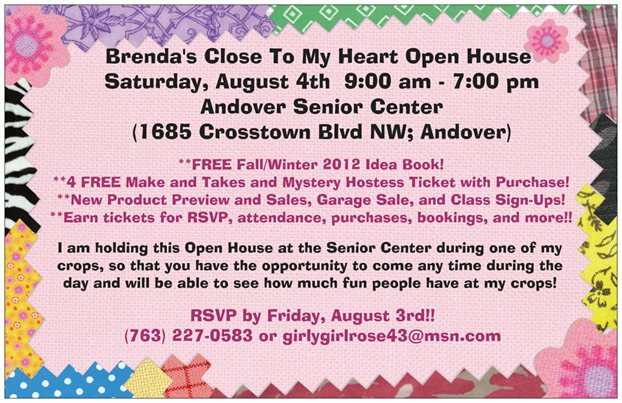 There is so much NEW, NEW, NEW, and I am thrilled that my Open House is in just a couple of weeks. I am going to have a lot to show you - from 8 new paper packets to home decor and card kits to 6 new colors to a BRAND NEW Cricut Collection!! 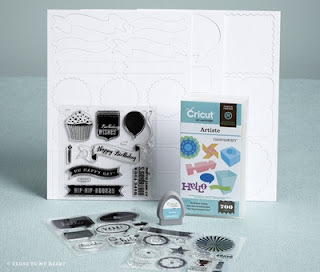 Cricut Artiste is another collection with 700 new images, 3 stamp sets, and 3 dimensional elements sheets. I can't wait to show you!! You are going to want this Cricut Collection, and I want you to be able to earn it half-price. With a $250 Gathering you can you not only get $40 in Hostess Rewards, but you will also be able to purchase one-half price item. That can be the Cricut Artiste Collection!! I have a special for you on top of the Hostess Rewards. Are you ready? If you contact me and book a Home or Online Gathering between September 1st and January 31st, I will give you an extra paper packet when you reach $250 or more in sales. That brings your Hostess Rewards up to at least $50 in free product and one-half price item! What great rewards for inviting your friends over for a fun night! With the new Cricut Artiste collection, I will be making each of my Gatherings a theme Gathering, so it's sure to be a blast! Starting September 1st, all of my hostesses will not only receive a handmade hostess gift from me, but they will also get a stamp pad in one of our new colors! My calendar is sure to fill up quickly, so e-mail or call/text me at 763-227-0583 to get the month and date you would like! I am super excited to tell you about the New Consultant Special! 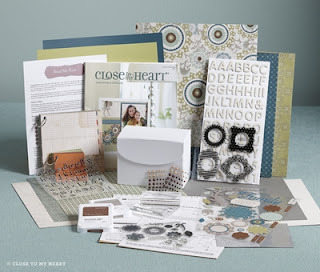 For just $49, you can join my Rose Blossom team and the Close To My Heart family. I would love to answer any questions you might have. No question is too big or too small! If you'd like to read a little more about the opportunity, click HERE. Ready to make the leap? Visit my website HERE to sign up today. I love the generous discount with Close To My Heart, and I love the fact that I can build my business any way I'd like. Whether you are looking for a discount, making some extra money to pay a bill, or even earn an incentive trip, Close To My Heart has a place for you! With the launch of a new Idea Book, we always have a list of retiring products to share. I wanted to give you a heads up on what will be only be available through July 31st. If you see a color that is retiring that you love, be sure to grab some cardstock or a re-inker for your stamp pad. (As of August 1st, Close To My Heart will have a new and trendy color palette of 40 colors! Whew, that's alot of news! Your Open House sounds awesome! I am looking forward to your open house/crop! Hugs!